He found something worth saying with 2002’s One Hour Photo, starring Robin Williams, and with last year’s Never Let Me Go, an adaptation of Kazuo Ishiguro’s 2005 novel about love, loss, and the finite nature of time. The book “brought me to tears,” says Romanek, “and yet I found it intellectually stimulating as well, and very mysterious. I couldn’t stop thinking about it.” The movie, starring Andrew Garfield, Keira Knightley, and Carey Mulligan, made Time’s list of the top 10 films of 2010 (and was named best overlooked film by the Phoenix Film Critics Society). 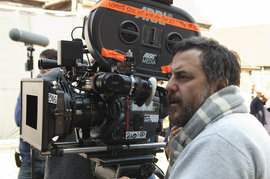 For those of us who’ve seen his work, we’re grateful Romanek got that chance.